Keaton filmed two Educational shorts in 1936 at the former Paramount studio located at 35th Ave. and 35th St. 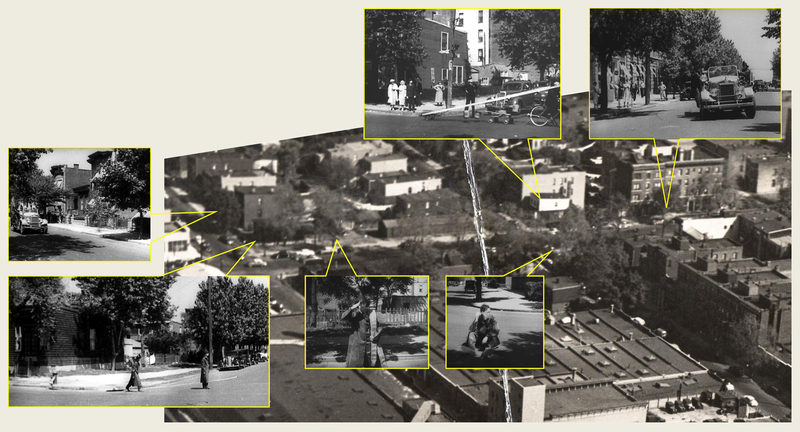 This overview shows several shots, still with confirming buildings, filmed along 34th Ave. just north of the studio. Just one thing, Keaton made three shorts for Educational in Astoria: THE CHEMIST, MIXED MAGIC, and BLUE BLAZES. D'oh - of course he filmed three in Astoria. But Mixed Magic didn't have any identifiable exteriors, and hence purged from my frontal lobes.